Did you receive a strangely inappropriate text on Valentine’s day? Well you probably have Ricky Gervais to thank for it. 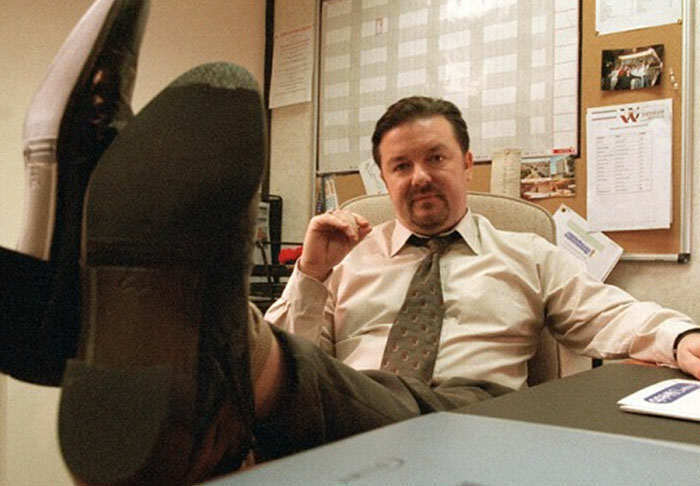 On Sunday morning, the controversial British comedian called for his followers to send their mates or mothers David Brent quotes. He put out the rallying cry on Twitter and it didn’t take long before he had some returns. If you are a fan of the original BBC series The Office then you’ll love these conversations. If this has reopened the Brent shaped void in your life, fear not. The man himself will be hitting the silver screen in August of this year with his new film Life on the Road.